Just as we thought… Much ado about nothing! 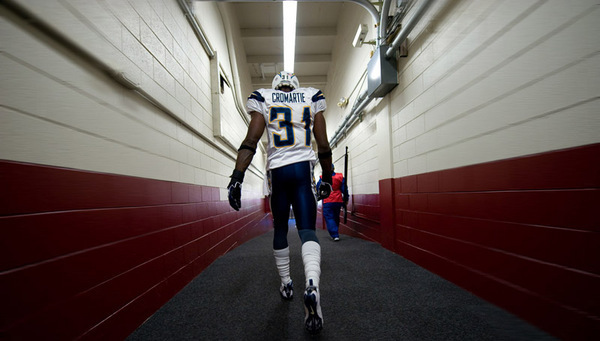 Today, a San Diego police spokesperson announced there was not enough evidence to prove Cromartie actually committed a crime. There were conflicting witness reports and a bunch of drunk people. It does not make for the most air tight case… especially when going up against millionaire’s lawyers. The city is facing so many budget cuts, it simply cannot afford to prosecute this ridiculous case which would get dragged out for years and cost the city tens of thousands of dollars. The victim is more than welcome to pursue the case in civil court, but there is really no case with the conflicting witness stories. I actually commend the city for this decision! BTW – If you were not aware of how bad the budget is. San Diego politicians are trying to get rid of fire-pits again. And next time you go surfing, bring a life-jacket because they are cutting lifeguard services drastically! This has nothing to do with sports, but if you’re here, you probably care about San Diego issues… maybe. Additionally, Here’s the UT article with some better details. It essentially says exactly what I’ve told you.